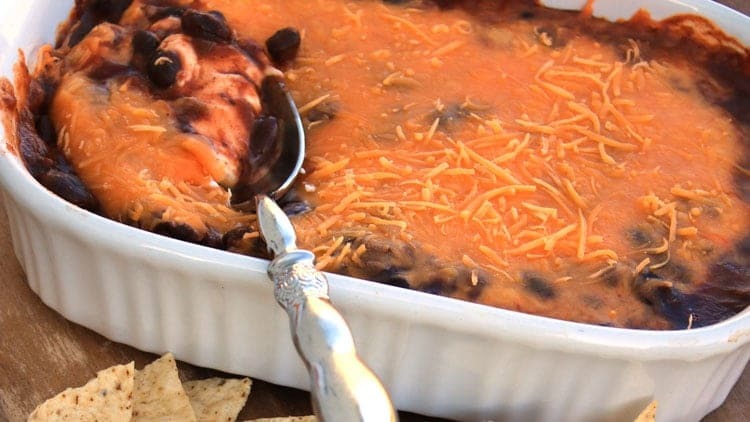 Black Bean Chili Dip is De.Li.Cious! As in tasty, tasty, tasty. Seriously…when you combine cheese and chili the result is fabulous. And remember, you can always dine on appetizers for dinner…yum! Dish up some chips, load on that dip, and take a bite of pure perfection. We love simple recipes with even simpler ingredients. There is no need to get over-complicated when you have an easy peasy recipe like this one. 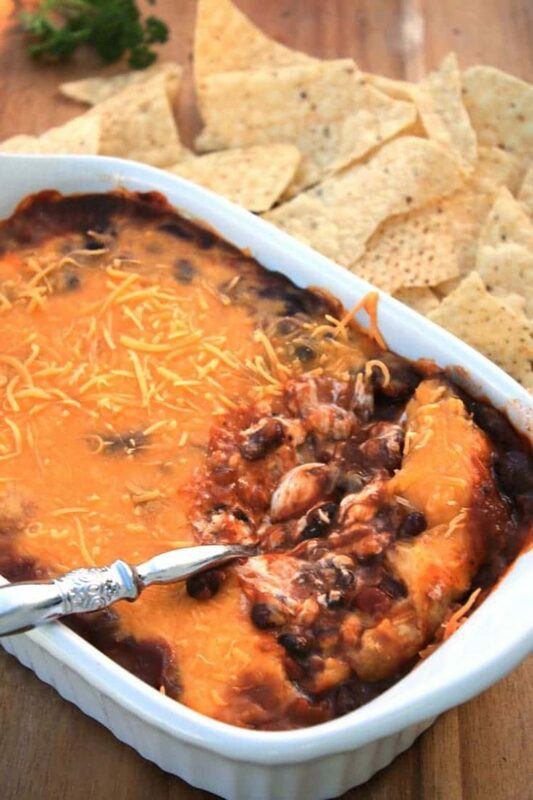 We love chili…so it really was a no-brainer fo us to dive into chili dip! Soften cream cheese to room temperature and then spread over the bottom of a shallow casserole dish. Spread chili over the cream cheese and then top with shredded cheese. Bake at 350F for 20-25 minutes until cheese has melted and dip is heated through. Serve hot with tortilla chips.